Bullock Brown said this visit will be helpful the next time a student shows interest in ROTC. Now, with a glimpse into the training regimen, she said she sees how many different options ROTC students have besides infantry or active duty. Many visitors push themselves to complete every activity offered to them. This includes Lynn Doyle, a professor from the Catholic University of America in Washington, D.C. who came to the Community Leader and Educator Visit on behalf of the nursing program. Due to the many wounded warriors and veterans who use the medical facilities, Doyle said this is a great way to understand the military life her patients know so well. Also amongst the visitors is Stephen Rodabaugh, the associate dean of the College of Science, Technology, Engineering and Mathematics (STEM) for Youngstown State University. A growing push for the recruitment of officers with STEM backgrounds is what prompted many of his coworkers to see what Army officer training is like. The Community Leader and Educator Visit also allows those who have no military connections, such as family or friends who have served, the chance to interact with Army leaders. Assistant provost for Winston-Salem State University, Leticia Cornish said she had no idea what the military is like. 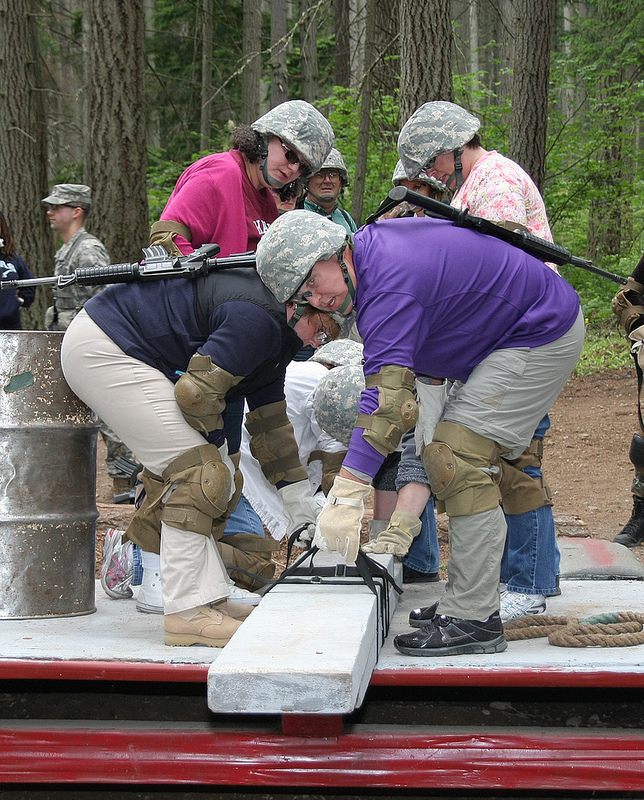 For two days educators from around the country experience life as a Cadet in order to gain a better understanding of where some of their students are heading– toward a career in the Army.